Our technicians will provide prompt and professional repair service. 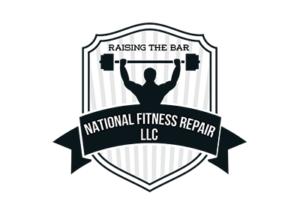 National Fitness Repair services most brands within the fitness industry. We provide service to both residential and commercial customers as well as preventive maintenance programs. Our coverage area includes 6 States: Colorado, Wyoming, Kansas, Nebraska, New Mexico, and South Dakota. The National Fitness Repair team provides prompt reliable service. We don’t “shotgun” troubleshoot, you wil receive an accurate diagnosis the first time minimizing your service costs and maximizing your time. Service rate pricing is available upon request (based on demographic area – a trip charge may apply). If parts are needed, we will quote a cost prior to any repair and make sure that you are fully aware of all your options. Once approved and parts arrive, we will come back out to install and test unit for proper function. Preventative Maintenance reduces downtime and minimizes costly repairs. Our qualified technicians are trained to find and eliminate small issues before they become costly problems. We at National Fitness Repair pride ourselves on ensuring that your facility is well maintained. The National Fitness Repair PM program provides an ongoing care throughout the life of your facility, minimizing downtime and maximizing customer satisfaction. A Preventative Maintenance plan can provide significant cost savings when compared to the costly service fees required to repair your fitness equipment. Each PM program can be tailored to a facilities individual needs. Factors for considering frequency of a Preventative Maintenance Program typically include age of the equipment and daily usage. Let us assemble your treadmills, ellipticals, exercise bikes and strength equipment as they are heavy and difficult to transport or assemble. Once installed we can assist with your setup, preventative maintenance programs or take care of your service needs. National Fitness Repair technicians are familiar with most brands and models and will assemble, calibrate and test your equipment to ensure proper function. Our factory trained technicians can provide you with a user training session giving you the full functionality of your equipment. National Fitness Repair will work around your schedule, if nights or weekends work best for you then that’s when we will schedule it – at no extra charge. We will cater to your needs to provide the optimum level of service. National Fitness Repair can receive and warehouse your gym equipment until it’s ready to be distributed and installed anywhere within our service area (extended service may be available). We will deliver your equipment assembled and ready to go. This eliminates the need for unnecessary clean-up and it allows us to fully test any equipment for problems prior to delivery.